Oil pulling or Nithya Thaila Kriya is an ancient Ayurvedic regimen that greatly enhances both your physical and overall well-being. It has gained popularity in recent times due to greater awareness about it, as well as celebrity endorsements of this age-old practice. Two ancient texts dating back to 800 BC and 700 BC mention the benefits of oil pulling including oral hygiene among other things. The most common way to practice oil pulling is to take pure coconut oil or sesame oil, and swish it in your mouth like mouthwash. This technique ‘pulls’ out the toxins that may be present in the mouth and also helps soothe mouth ulcers, and is known as kavala. Another way to do this is just to keep the oil in your mouth, without swallowing it, for 3-5 minutes and then repeating the process, known as gandusa. A little-known fact however is that it does not always have to be oil – different concoctions such as milk, hot water with herbs soaked in it and honey are also used. This depends on your individual condition and health – so before you try any oil pulling methods, it is always advisable to consult an Ayurveda practitioner. The benefits of oil pulling can be seen within a few months, with reduced plaque, improved dental health, strengthened jaws and a lot more. 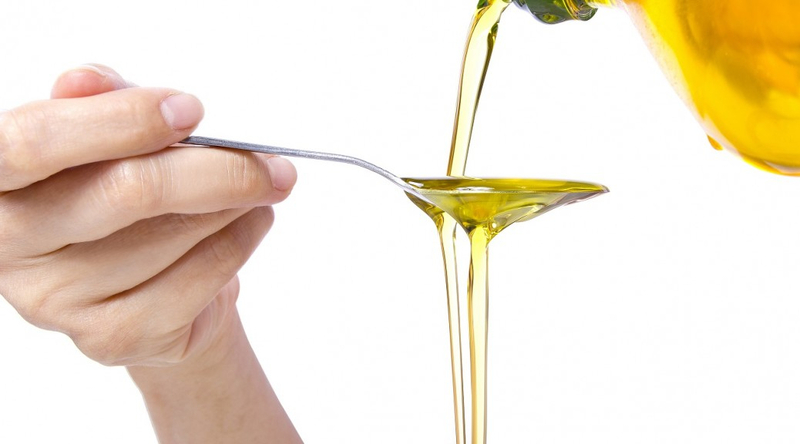 Oil pulling also cleanses the body of harmful toxins, and can even reduce the appearance of wrinkles. This is one of the secrets of Ayurveda that is truly beneficial for the health and youthfulness of your body.